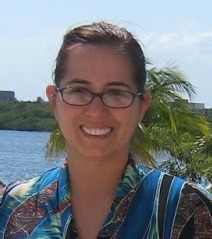 This post is part of a sponsored campaign on behalf of Latina Bloggers Connect and the makers of ZYRTEC®. For me there is nothing worse than waking up in the morning, going to the mirror and being greeted with Allergyface! Ugh! If you are not familiar with the term Allergyface perhaps you are familiar with the symptoms, symptoms that come on after a sneezing or suffering with allergies… Puffy eyes, redness and just an overall run down look. I have been greeted with that run down Allergy Face many times in my life, and there has to be better way. I would love to wake up with a better happier less icky Allergy Face. The makers of ZYRTEC® have partnered with beauty and fashion expert, Carmen Ordoñez from VivaFashionBlog.com, to help women combat ALLERGY FACE™ – beauty challenges like a puffy face, watery eyes and a red nose that are associated with typical allergy symptoms. According to a recent survey by the makers of ZYRTEC®, nearly half of women suffering from ALLERGY FACE™ missed out on something like a party or a date because of their allergy-related beauty challenges. Have you ever missed an important event in your life due to allergies? Luckily I have never had my allergies that bad that I would stay home from an event. But once my eyes were bugging me so much with burning and itching, while out at a local theater, I had to “watch” the movie with my eyes closed. I just could not keep them open, they were so bad. I guess I should have stayed home instead? Carmen Ordoñez, has some great beauty tips and tricks, she has a three-part bilingual video series, created in partnership with the makers of ZYRTEC®, Carmen shares her simple do-it-yourself beauty solutions to help women tackle allergy-related beauty challenges during the warm summer months. How to combat a Puffy Face – Drink plenty of water each day to help your skin feel hydrated. How to combat a Puffy Face- Rub and ice cube over your face before applying makeup. How to reduce the Appearance of Watery Eyes- Apply navy blue or cobalt mascara to help the whites of your eyes appear brighter. Less is more! Don’t overdo it with too much makeup. - Eyes: Use an eyelash curler before applying mascara to help “wake up” Using a curler will make your eyes look wide open, so you look fresh and awake. - Nose: If your nose is irritated and dry, avoid putting on foundation, which can look caked on. Instead apply a rich moisturizer and let it dry. - Face: To help reduce the appearance of ALLERGY FACE™, place a cold, damp cloth on your face for 10 minutes. Carmen is full of great beauty information, she is so knowledgeable about how to look your best and has some great beauty advice. I may not be as beauty savvy as Carmen is, but I wanted to share some of the tips I use to bring out my natural belleza Latina! I have to agree with the less is more approach… Years ago I tried to cover my Allergy Face with loads of makeup, and this never helped I think it even made my allergies worse! So less is more is my motto as well. When my eyes are puffy and I need relief, I just adore cool compresses and cucumbers for my eyes. You may have seen commercials, or shows when people go to spas you always see the cucumbers on their eyes. They use cucumber for a good reason, because it really works. The smell refreshes your senses and the moisture lessens the puffiness of your eyes and you feel great after you use them. Another tip I would have is the BB cream, the newest rage in face moisturizer/ face foundation. I have found that the BB cream really evens out my skin tome and makes me look fresh and young. I love the ease of use, and you can find it in stores for an affordable price. Lip balm, I never leave the house without it. When my allergies are bad, my lips dry up and get cracked and they feel and look terrible. A basic thing like a .99 cent tube of chapstck can really make a difference. Either tinted or glossy both are great. One quick swipe and I instantly feel better about the way I look and I am sure my husband appreciates my soft list as well. Have you ever missed an important event in your life due to allergies? Thankfully no but I do know a friend who suffers horribly from allergies and is always sniffing and red eye laden. My allergies are terrible. I took my son to a water park yesterday and I was miserable from allergies. 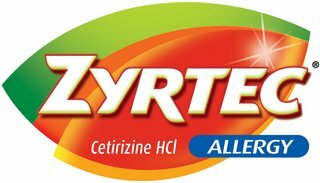 Next time I will remember Zyrtec! My allergies have been so bad, I don't hardly ever wear eye makeup. Thanks for the tips! My allergies have been terrible this year. My eye makeup washes off from the tears. Oh how I hate allergies. Mine are absolutely terrible...thank you for your tips! My allergies are terrible, this is great! LOVE all of those great tips. I'm glad none of us suffer too much with allergies.